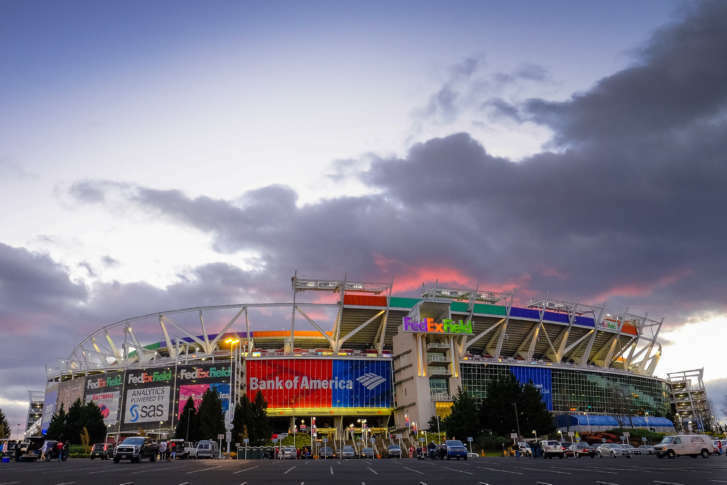 You can get tickets for this Saturday's game between the Washington Redskins and the Arizona Cardinals at FedEx Field for as little as $6 in the Upper Level sections of the stadium. Kickoff for Sunday’s game at FedEx Field is at 1 p.m.
Editor’s note: An earlier version of this article contained an error. The game between the Redskins and the Cardinals will be Sunday. The story has been updated. WTOP’s Mike Jakaitis and Jack Moore contributed to this report.